Price Drop on the Leapfrog Leapster 2: Save 49% with Free Shipping! 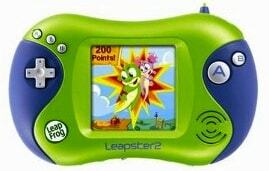 Amazon recently dropped the price of the Leapfrog Leapster2 Learning Game system to $35.40. That's 49% off the regular price of $70! Amazon will also ship this item to you for free!